When you look up the definition of emotional child abuse, it includes different kinds of emotional child abuse. In our Types of Emotional Child Abuse series, the first post discussed the silent treatment. In this post, we’ll explore gaslighting. 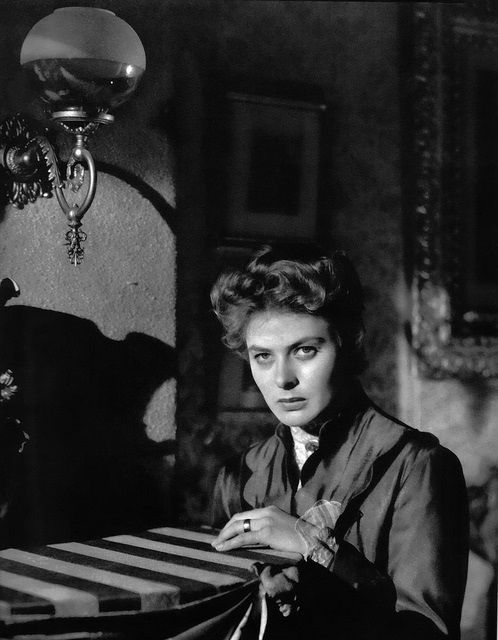 In the 1944 film “Gaslight,” pianist Gregory Anton launches a secret campaign to drive his wife, Paula, insane—and to have people in her life also believe she is crazy. He dismantles her sanity through subtle manipulations of their home environment and little changes in the details of their conversations. Because Gregory portrays himself as calm and reasonable when Paula grows upset at those discrepancies in her life, she assumes he is the clear-headed one of the pair. Paula then begins doubting her perception of reality and her own sanity. Gregory’s gaslighting of Paula is slow, steady—and very subtle. No one in their household, especially the maid with whom Gregory flirts, would suspect he is slowly driving his wife insane. No one in their social sphere would ever accuse the golden-voiced, sophisticated Gregory of being insane. And because he spins stories in public about poor nutty, fragile Paula (while he keeps her isolated at home), their social circle favors him. At home, Gregory continually hammers away at her sanity. He makes her believe she is mentally unstable and a kleptomaniac. He makes her doubt her memories, her behavior, herself. He is the worst sort of villain. He is a soul killer. The psychological term gaslight comes from this movie. When Paula is left alone in the evenings, she sees the gaslights in her room dim for no reason, but Gregory, when told of them, tells her she is imagining such things. Throughout the movie, Gregory continually presents himself as a loving, nurturing, attractive and talented husband; Paula starts out seeming beautiful, talented, and sane, but her husband’s mind games wear away at her, so she begins to break down, even in public. The mind games that Gregory plays are familiar to psychologists, who use the term gaslighting to explain them. Emotional abusive parents use gaslighting to break down their children’s perception of reality. The cruelest part of gaslighting is how it slowly erodes at the mind of the abused child. What did my parents really do? What did my parents really say? Did I hear them incorrectly? Did I not remember that right? Was I not paying attention? Why am I always getting everything all mixed-up? To make a child rely on the memories and the telling of events from the abusive parent instead of himself is the ultimate triumph for the abusive parent. Because people don’t go around habitually recording their conversations, the adult survivor cannot prove that the gaslighting happens. And because the adult survivor has been conditioned by years of abuse from their parents, he or she is apt to believe the gaslighting parent rather than his or her own recollection of the event. In my conversations with adult survivors of emotional child abuse, I’ve heard myriad accounts of gaslighting. The following are a few examples. A gaslighting parent makes a dinner appointment with an adult survivor at 6 p.m. at the child’s house, but then the parent does not go over until 8 p.m. When the adult survivor mentions it, the abuser says that the child said, “8 p.m.” The adult survivor says, “No, it was 6 p.m.” The abusive parent denies it and even adds the comment that the adult survivor’s memory must be going. A gaslighting parent makes a cruel comment to her child. The child later mentions the comment in the hopes that the abusive parent will apologize for the comment. The gaslighting parent denies the comment was ever said, and he gets furious when the child says that it really did happen. The gaslighting parent denies it over and over again. A gaslighting parent asks a child if he wants to go to the movies during the weekend. The child says she would love that. That weekend, the child mentions going to the movies. The gaslighting parent tells the child that he had said he didn’t want to go to the movies. The child says, “No, no, I said I’d like it.” The gaslighting parent says, “No, I remember you saying you didn’t.” The child cannot prove what he said. What comes through in the recollections of the adult survivor is how the abusive parents changed details just slightly, enough to almost be right. (For example, in the third story, the parent did keep the element of asking the child about the movie and the plans for the weekend, but changed the child’s “yes” into “no.”) Also, the abusive parents will always deny the occurrence, even if told the conversation verbatim. The adult survivor starts to feel that he is losing his mind, his ability to trust his own memory. You ask yourself, “Am I too sensitive?” repeatedly throughout the day. You’re always apologizing to people in your life. You know something is horribly wrong, but you can never express exactly what’s wrong, not even to yourself. If you come to the realization that you are a victim of gaslighting, first be grateful for the awakening. Though the realization is difficult, at least you now know. Then, as always, we recommend seeking a therapist or mental health professional to help you identify other signs of it and get the resources you need to start rebuilding your mental health. In finding the right therapist, take the time to research the therapist, get to know what his or her areas of expertise are, and take time to do an initial interview to see if you two are a right fit. If not, keep searching for one; don’t give up. My mom always confused me as a kid. When we first were required to bring a calculator to school, she bought me one. It was stolen, and when I apologized and asked her to get me a new one, she told me that she was not buying me a THIRD calculator. I was confused because I only remembered her buying me one, and said so. She responded by saying she got me one the year before as well, and that I lost it. I asked my sister about it, and all of my friends. They all said that they only remembered me getting the one. Halfway through the next school year, I ended up being forced to ask for a new calculator. She said that I’d already lost three and she wasn’t getting me a new one. According to her, I got my third one at the beginning of the new school year. I spent several months worrying about my sanity and memory, because I kept forgetting things I said/remembering things wrong according to her. I asked my sister and friends again. They were all confused, and told me the same thing. She only bought me one, which was stolen. She would do similar things during arguments. Once, my father asked to take me to see a band. She was fine with it at first, but about ten minutes later, she completely denied doing so and started shouting about how my dad would not, under any circumstances, take us to see the band, and that he needed to listen to her, because she was never okay with it. I’m not certain whether my mom is a narcissist, but she’s definitely emotionally abusive and gaslights me constantly (I still live with her, but hopefully not for much longer). The gaslighting is mostly in the form of her mentioning X, I’ll say “no, actually, it’s Y” and she’ll say “I said Y, you may have THOUGHT you heard X, but I said Y.” Even if X and Y sound NOTHING alike. There was also a time that I was in my bedroom with the door closed and I saw the hall light come on under the crack at the bottom of my door. It stayed on and a little later I went to her room to tell her I wanted to go to the store, and then I asked her if she wanted the hall light off. Note that the switch for it is across the hall from my room, and next to her door. She said she didn’t turn it on, that I did. I most certainly did NOT turn on the light. It had already been on before I came out of my room, and I HAD NOT been out of it beforehand. I even TOLD her that I hadn’t been out of my room before it came on and she STILL insisted that I turned it on, not her. Even if I had come out of my room, I NEVER turn that light on unless I need to get something out of the hall closet, which obviously wasn’t the case here, and if I accidentally do (the switch is next to the switch for the lights along the stairs) I’ll notice and turn it off immediately. “Well, you probably just forgot that you turned it on.” Yes, I totally forgot that I had eight-foot-long Inspector Gadget arms that can go through a closed door. We argued over it for like ten minutes (she still insisted she hadn’t turned it on and that I did it and “probably forgot”) and I was still fuming about it when I went to the store. I still get angry when I think about it. I have a lot of experience with gaslighting. 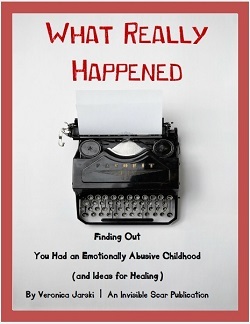 My ex-husband was masterful at it, and my sister trained me from my earliest memories to accept gaslighting as “normal.” I’m am now NC with the majority of my family. It is mentioned over and over on this site to find the right therapist and I can’t agree more. Before my ex-husband left me, he insisted that I had anger management issues and that I needed serious therapy. I found a highly educated and experienced therapist who specialized in anger management but by chance, she also specialized in addiction which gave her insight into all the different kinds of manipulation. It may sound unrelated, but through the course of my therapy, she used her knowledge of “manipulation” to diagnose my ex as a societal sociopath and narcissist who uses gaslighting to control people. He did some very textbook things: he tried to diagnose me w a personality disorder, he tried to diagnose me w anger issues, he rewrote history, he used silence to get his way, he presented a different reality to everyone in his life, so much so that I always felt like I was standing on quicksand. Bc my therapist so clearly saw who he was, she would not allow me to blame myself, she was very direct about the “reality” of what my marriage was, and she completely discounted his diagnosis of me. She saved me, she awakened me and bc she came into my life I’ve seen the emotional abuse in my family and childhood and in a few of my friends and I’ve cleansed these toxic people from my life. The right therapist can do an amazing amount of good! On the flip side, while I was married, I was in couples therapy w my ex and that therapist was completely controlled by my ex, to the point where the couples therapist yelled at me in therapy, cut me off, and agreed with my ex that I needed to be medicated. So, the wrong therapist, uneducated therapist, can do a lot of harm. I can’t encourage survivors enough to find the right therapist, it has completely changed my life for the better, and forever. I am now in a genuinely loving relationship with an emotionally healthy man, and I’ve found enormous peace and joy in having relationships/friendships based on mutual love and respect, it really can happen. I would like to know if you think this scenario sounds like gaslighting. My father and mother divorced when I was eight years old. My father married another women in less than two years after their separation. This woman had two children close to my age. I moved out of state with my mother and new stepfather when I was 14. I lived out of state for just over 20 years. My family and I moved back near my real father almost 9 years ago. My father has always given me cards, letters, and gifts that praise me for being a great daughter. However, in the last 9 years since returning to the area every time my young son and I try to spend time with them they will both say mean and inappropriate things out of the blue to me and to my young son. We are routinely made to feel unwelcome and uncomfortable in their presence. Other people have even noticed it too. However, I will still get the appropriately timed card and gift that tell me what a wonderful daughter I am. I am feeling at my wits end. It leaves me AND my son feeling confused and rejected. I have tried to create distance to protect myself emotionally but inevitably get sucked right back into the same situation. Please let me know if this sound like gaslighting. I only recently realized this is what it could be. Thanks in advance for your advice. I would also like to point out that the effects of gaslighting can be multiplied for people with various mental illnesses and other neurological conditions that deviate from the norm. Heck, as an autistic, I can tell you that the description of autism is extremely gaslighty. Not sure why that is? Simply imagine yourself being described in those terms. Wouldn’t you have trouble trusting your perceptions if that’s what your read? Sometimes id address these points to her, that she could be psycho and really intimidating, and shed reply with, well all my friends at work think im wonderful and such a lovely person, so how can i possibly be like that with you? In fact my friends think you are the problem!!! So she discussed me at work then too it seemed lying about me. Shed always become tearful too when i ever brought it up like i was the one who was mis remembering everything and i ended up feeling really bad! Every holiday or trip away she goes on she falls out with who shes with and came back early, with stories of not being treated nicely or they were nasty to her or something. Every trip. Hell of a coincidence that.. There is obviously something else involved with her temper, but she NEVER remembers it correctly!! Well actually as it turns out she does, she just wants me and others to believe her version.